Manila, the capital of Philippines, is a City of Malls. That's right! If you are in the mood to shop till you drop, Manila IS the place to be. If you think the shopping haven is Hong Kong or Bangkok or even KL, you ain't seen nothing yet! Oh my God indeed. Who would have thought? I wonder how come I did not know about this? What had the Philippines' Department of Tourism been doing all this while? Talking about Philippines' tourism industry, I really have some issues I would like to speak up. But let's leave that for another post, shall we? 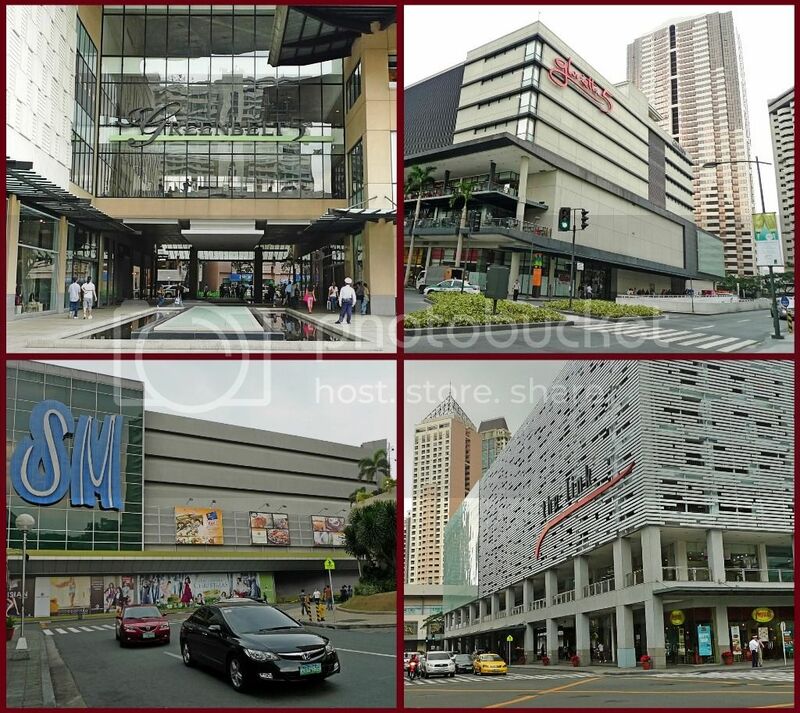 With a shopping mall at almost every corner of the city, Manila is definitely a shopping paradise. Whether you are looking for bargains or high end big name brands, Manila has it all. 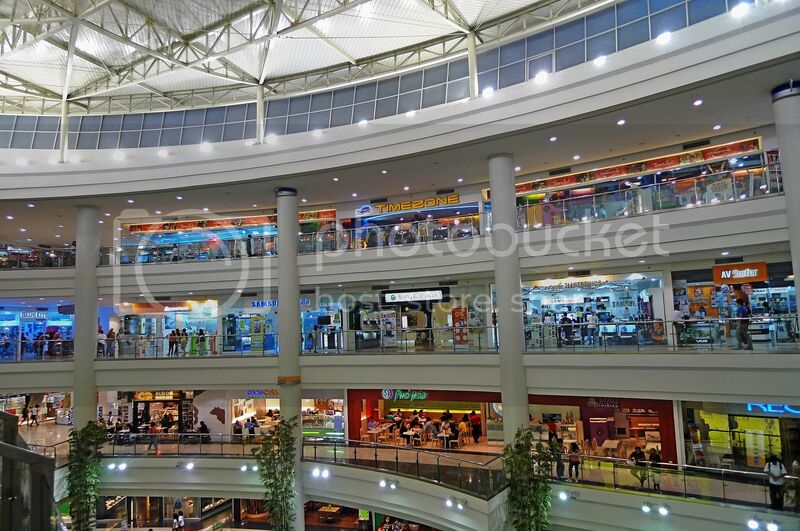 Just like the shopping malls in Malaysia, the malls in Manila are open 12 hours a day, seven days a week. And one thing I noticed was Filipinos just like to hang out at shopping malls! The malls were usually packed on weekday nights and weekends. 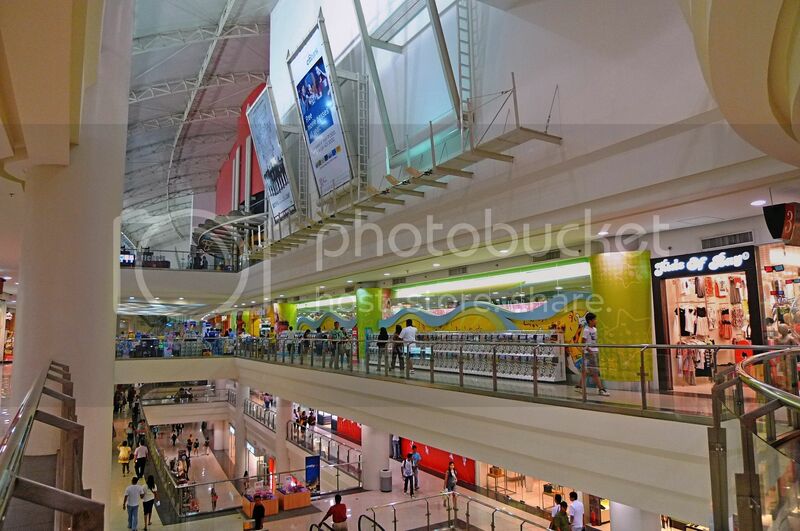 Indeed, shopping malls are like second homes to most Filipinos! Truth be told, a lot of Malaysians also like to hang out at shopping malls so both our cultures are not that different really! Haha. 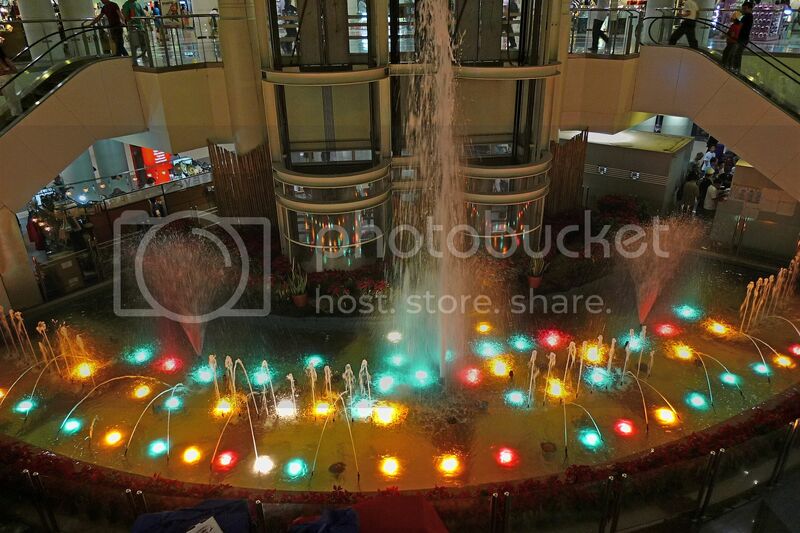 On my first day in Manila City, I visited a shopping mall which was very close to Lotus Garden Hotel where I stayed. 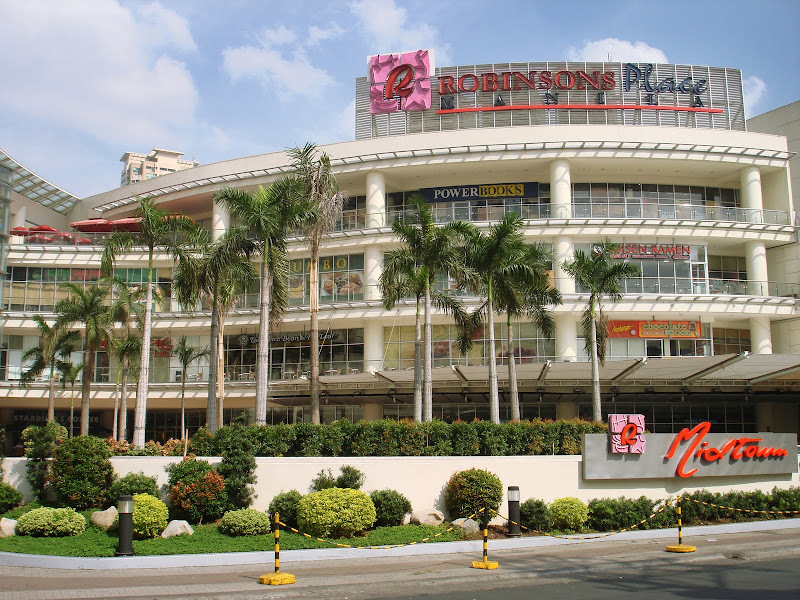 The mall I am talking about is Robinsons Place Manila. Located between Padre Faura Street and Pedro Gill Street, and fronting Adriatico Street, Robinsons Place Manila was originally built in the 1980's but was later redeveloped into a 7-level shopping complex complete with internationally known shops, dining outlets, entertainment facilities and service centres. If you had read my previous posts, you would know that I did not sleep well the night before I left for Manila. And after traveling for more than 3 hours by plane and close to 2 hours from Clark Airport to Manila by bus, I was dead tired! In fact, I was so tired and sleepy that right after checking into my hotel, I went to bed and slept! Well, the sleep did me a lot of good for when I woke up almost two hours later at 4.30pm, I was refreshed and all ready to explore the city! Since it was already evening, I decided to visit a famous landmark nearest to my hotel. That famous landmark happened to be Robinsons Place Manila. When I entered the shopping mall, I was quite surprised to see a security guard at the entrance checking on every visitor's bag. I was carrying a backpack and I was asked to open it for inspection. I found out later that every single entrance into the mall was manned by a security guard. In fact, entering and exiting the mall was done through two separate doors next to each other. You cannot use the entrance door to exit the mall and vice versa. It was days later before I discovered that in fact, every single mall in Manila follows this security system! Wow! Security guards must be in high demand in Manila! Imagine the number of guards needed to man every single entrance and exit points! Although the security was good and made me feel a bit safer, I also felt quite hassled having to go through the checks each time I enter a mall! So how did I find Robinsons Place? Honestly, it was just like any other average mall to me. 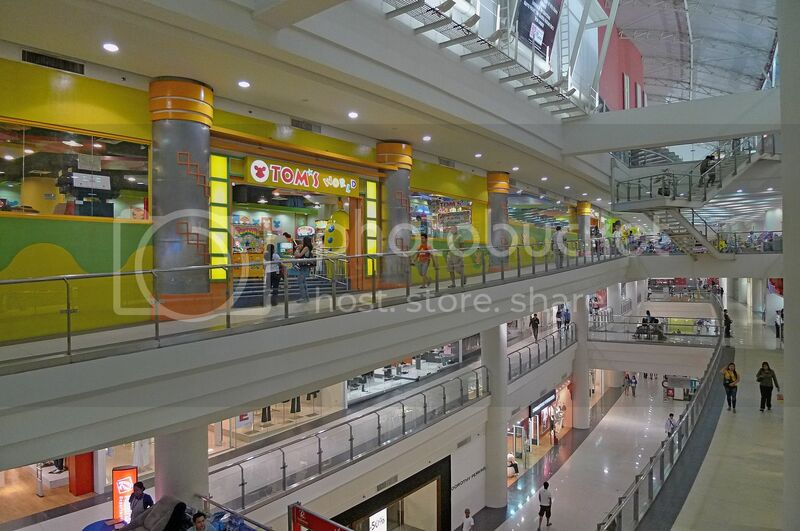 Oh, it has Robinsons Department Store and Robinsons Supermarket as the main anchors but you can also find other famous shops like Toys R Us, Top Man, The Body Shop, Hush Puppies to name a few - just like in any other shopping malls. I noticed they have Fitness First gym there too. I could have gone in and do some workout as I am a Fitness First member, but really, there are much better things to do during travel than working out, right? I was on the upper floors looking down when I caught sight of this stall below. Now what do you think they were cooking? 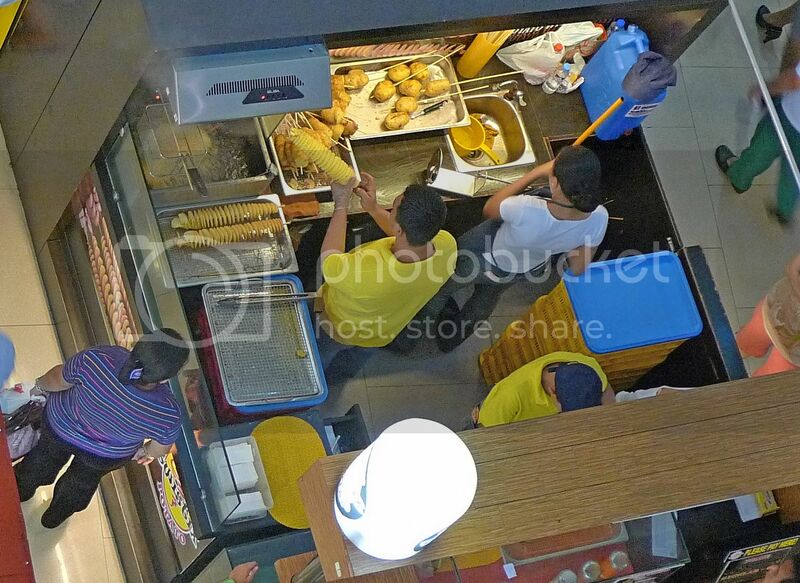 What kind of food was the man in yellow shirt preparing? I wanted to go down to take a closer look and perhaps buy one to taste when I got distracted by other things and forgot all about it! If you are a Filipino reading this, can you please tell me what is that food this stall is selling? Thank you! There is one thing I found in most of the shopping malls in Manila that I can never find in Malaysia, and that is Bingo gaming outlets! I was quite surprised to see this outlet called Bingo Palace. It was like a hall where everyone was playing the Bingo game! 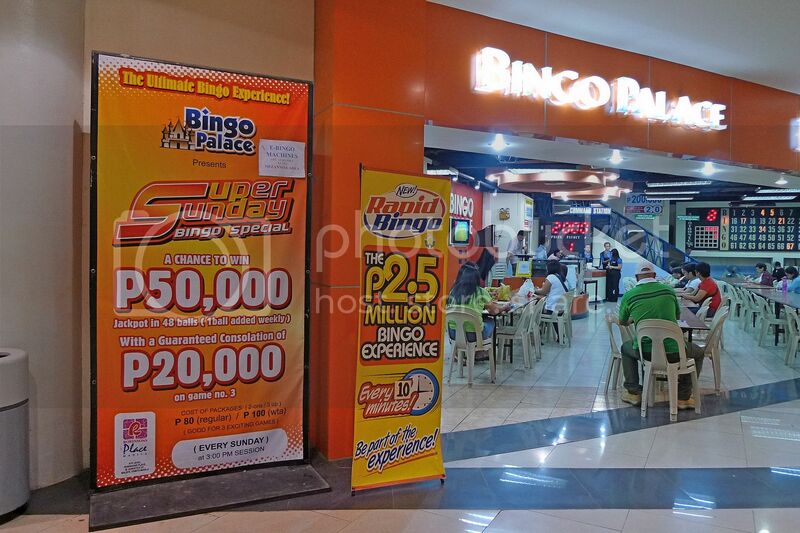 I guess Filipinos must like playing Bingo very much as most of the shopping malls in Manila have these outlets! 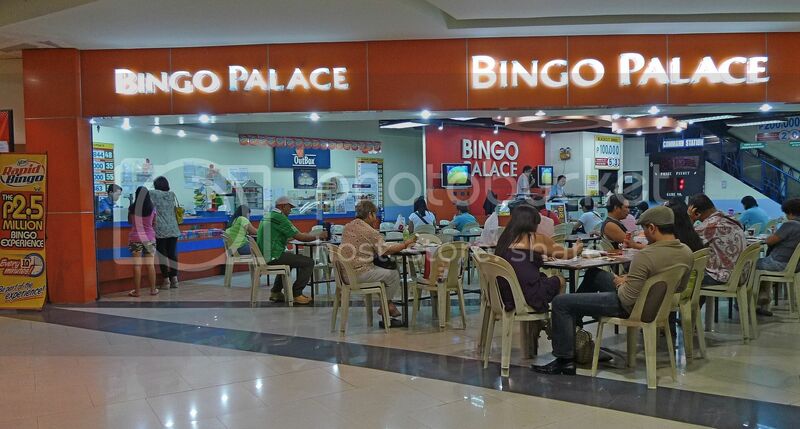 If you like Bingo, then I can safely say that Manila is your kind of city! 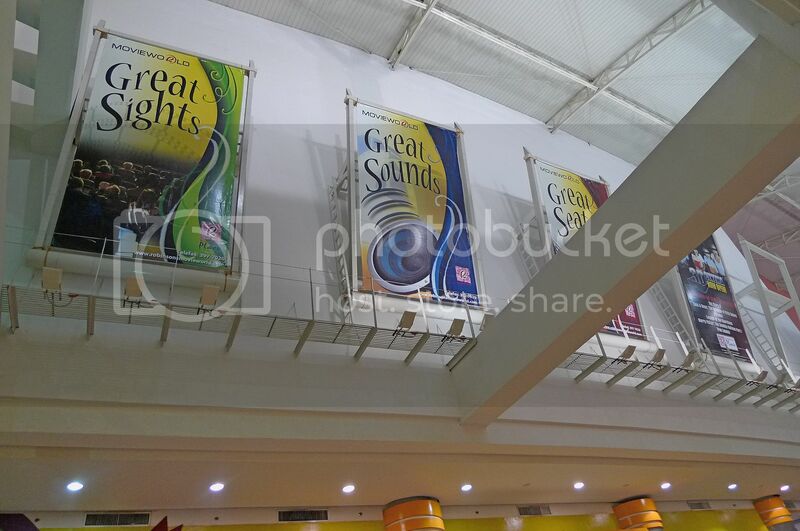 Of course like any other large shopping complexes, Robinsons Place also has an indoor theme park, a bowling centre and State-of-the-art cinemas. I don't really like shopping actually, but it was interesting to see how the shopping malls in Manila look like. I ended up buying a couple of T shirts and that's about it. If you are the type of person who really love shopping and can buy anything from the lowest to the high-end luxury brand like Louis Vuitton, then perhaps the shopping malls in the Makati District of Manila will suit you more. Believe it or not, I ended spending almost a whole day there, losing myself in the maze of multiple shopping malls which were all connected to each other! That would of course, be another story in a future post! Coming Up Next : My Very First Jollibee Burger!